we are trusted, professional contract cleaners run from Devon’s cathedral city. Exeter Cleaning has been based in the cathedral city of Exeter in Devon since 2005. We have built our reputation based on providing the best cleaning services with excellent,reliable cleaners and being responsive to our customers’ cleaning needs. Exeter Cleaning is trusted to clean in some of the best known medical facilities in the Exeter and wider Devon area. Exeter Cleaning ensure that all our staff are vetted as well as trained before being sent on cleaning assignments. With more and more consumers looking out for the Food Hygiene Ratings, it makes sense to get in professional cleaners. Exeter Cleaning provides a huge range of Commercial & Industrial Cleaning Services in Exeter and surrounding areas. We cater for all your cleaning needs including deep cleaning of kitchens, carpet cleaning, window cleaning, pressure washing and much more. Mark and his team did an excellent job for me. He was always quick to respond to all communication and was a pleasure to deal with. Good value for money and great quality. Would highly recommend! 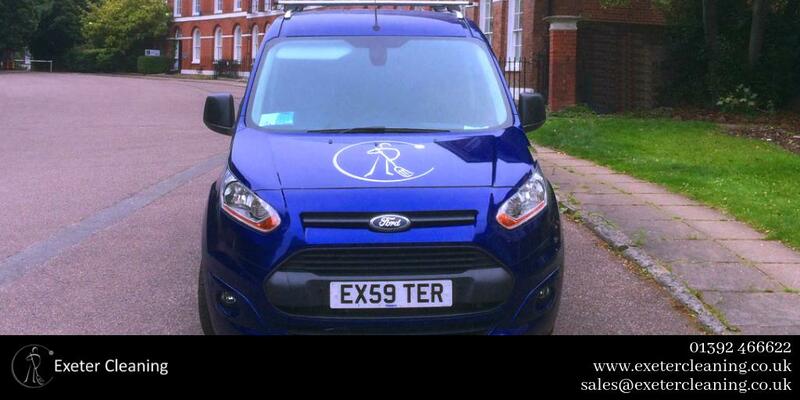 the very best service but always with a smile on their faces If you need cleaning you need Exeter Cleaning! Exeter Cleaning does not provide ‘one size fits all’ services because, in our experience, when it comes to cleaning, ‘one size fits none’. So, we take the time to talk with you, understand your needs and design services that do what you require – and to do that, it’s good to talk! So please feel free to contact us using the form below or by calling 01392 466622 and let’s see how Exeter Cleaning can help your business be even better. The Exeter Cleaning Company has been around in the city of Exeter in Devon since 2005 and we have built a good reputation based on the service we provide. We have expertise in a wide variety of areas including: Office environments (including professional service firms); Residential Care Homes; Care and educational establishments working with vulnerable adults; Nurseries, schools and colleges; Working at height; and Biohazard cleaning. We have a dedicated team of loyal employees; managers, sales directors, admin and working supervisors, not forgetting the most important thing, the cleaners themselves! All of whom are trained and are proficient in their particular area of expertise. We also continue to offer employment for the right candidates. We will always pay particular attention to your needs and look forward to providing Exeter and surrounding areas with continued quality cleaning now and into the future. We care about the environment! ♻️ We use environmentally-friendly cleaning products to reduce our negative impact on the environment! We hope everyone has a fantastic #EasterWeekend!